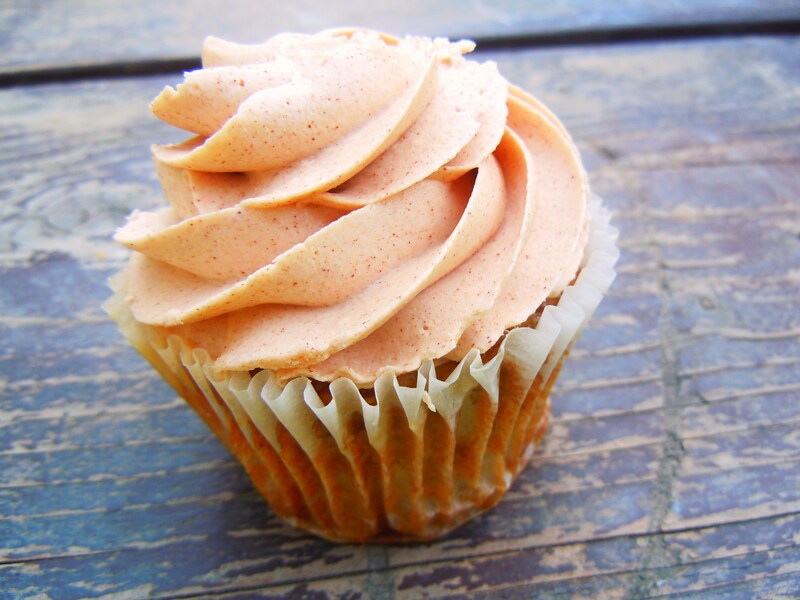 You might be wondering why there was no mention of my delicious apple caramel cupcake from City Cider in my post yesterday. After all, I certainly wiggled the bait a bit with my sneak peek photo Sunday night! I didn’t forget and I swear I wasn’t trying to be a meanie by witholding scrumptious information (who posts a photo of a drool-worthy cupcake and then doesn’t say another word about it for 2 days?! Er, me). 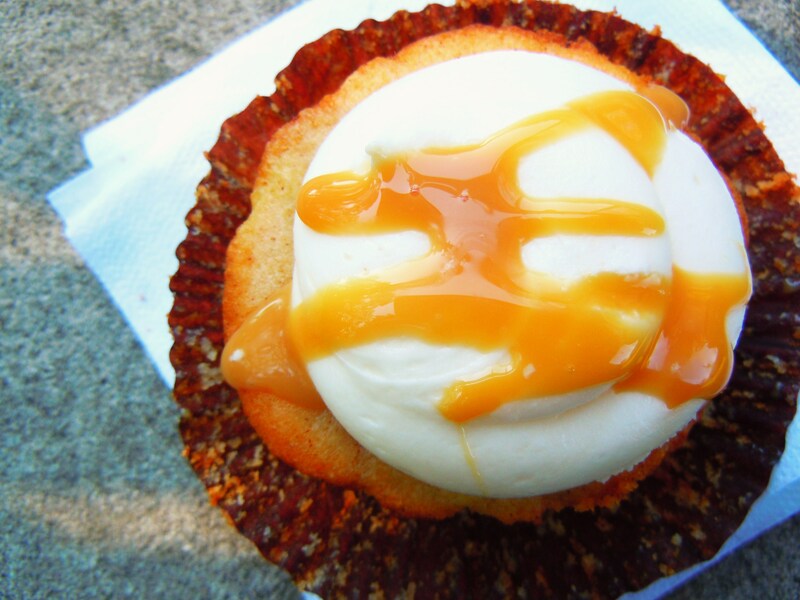 There’s a good reason for the wait: this delightful tender morsel of sweet cake and apple fruit, along with the apple cinnamon caramel cupcake from Yummy Stuff, was the inspiration behind this latest edition of The Cupcake Connection: Fall Apple Edition! I am beyond giddy about this one! 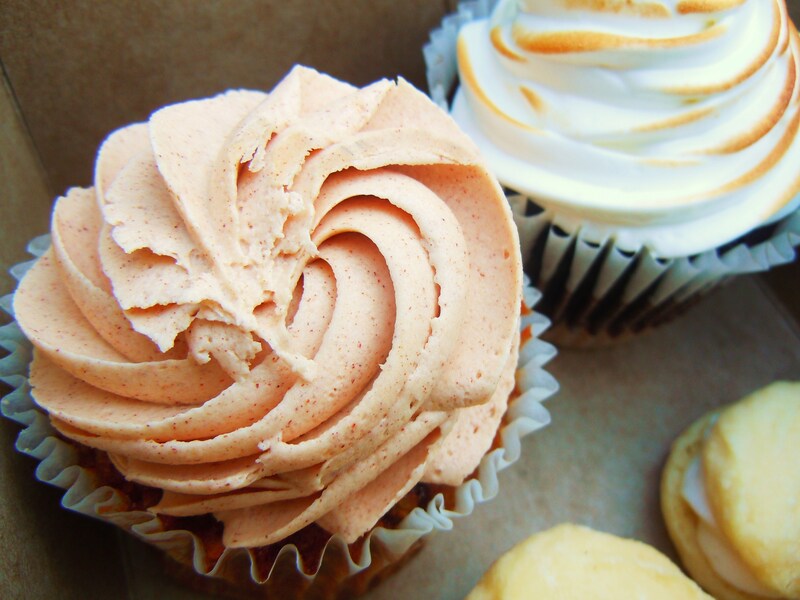 A whole post dedicated to cupcakes and apples. And apples in cupcakes. And apples in cupcake frosting. I LOVE APPLE CUPCAKES! It’s one of the ways I get to kick my apple allergy in the pants while still maintaining a healthy dose of cupcake in my life. 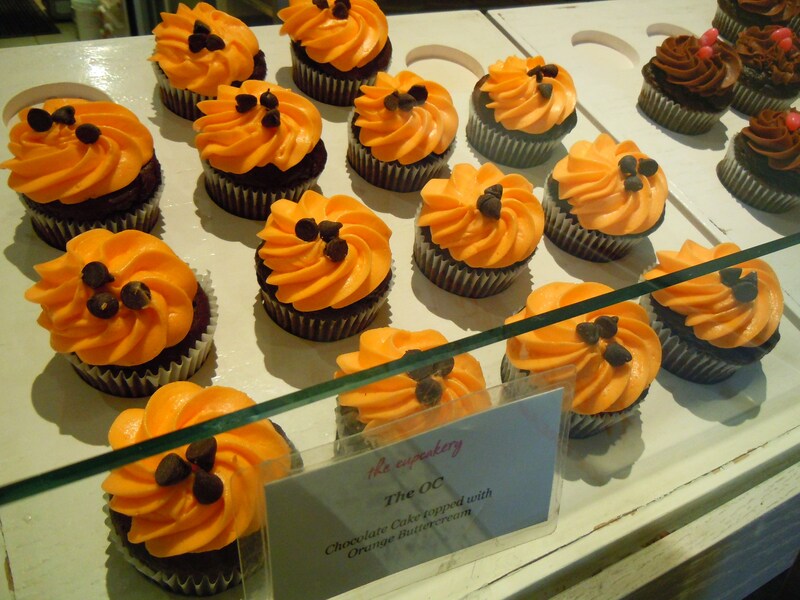 It wasn’t until I ate my apple caramel cupcake at City Cider that it dawned on me: there are so many different cupcake bakeries in and around the city that go full out on fall flavour using juicy, sweet apples come September. Just think, there’s apple cinnamon, apple caramel, apple-pear, apple spice, apple and nuts, the list goes on. 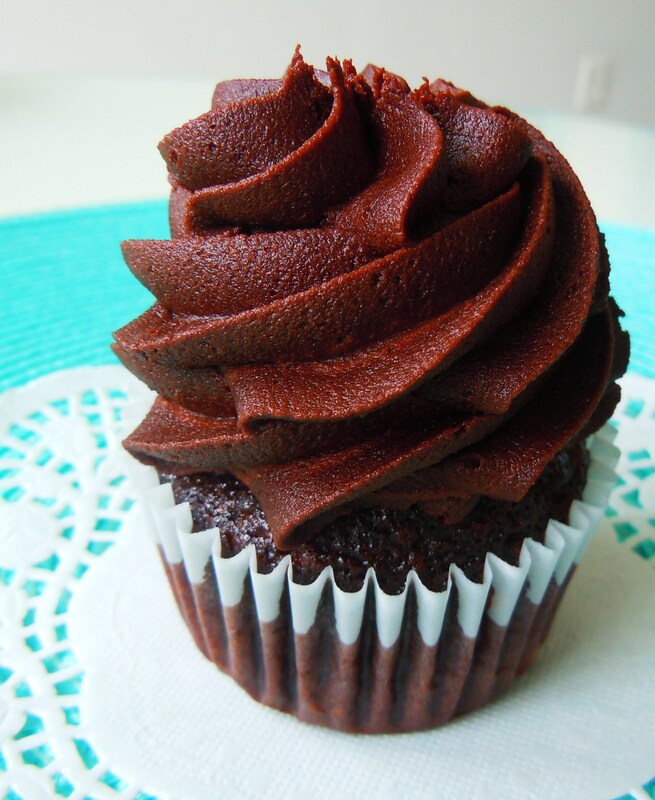 And it’s beautifully represented in both cupcake and frosting form! Fall is the season, to me, that never lasts long enough. Winter always drags on and on. Spring can get a little too muddy and wet. And summer? Well, let’s just say this past season made me reconsider how much I truly adore those hazy days. But fall? I love dearly. And the prominence of apples in sweets, baked goods, and in food in general at this time, makes me love it that much more. Thanks to Savera’s Pretty Sweet: A Mobile Cupcakery food truck at City Cider, I was totally inspired to compile all the different apple cupcakes available in shops and on cupcake menus throughout the city! 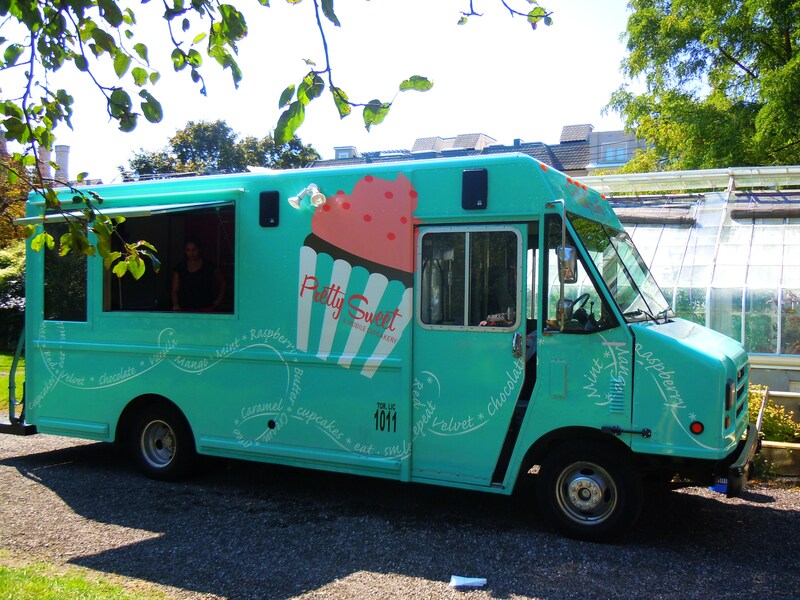 Let it be known though that I had no idea this adorable, super pretty cupcake truck existed until I went to City Cider on Sunday. I was totally smitten! Donning shades of pink, red, brown, white, and turquoise, it looked exactly like a fairy tale cupcake truck, ready to make the magic of cupcakes that much sweeter and yummier. 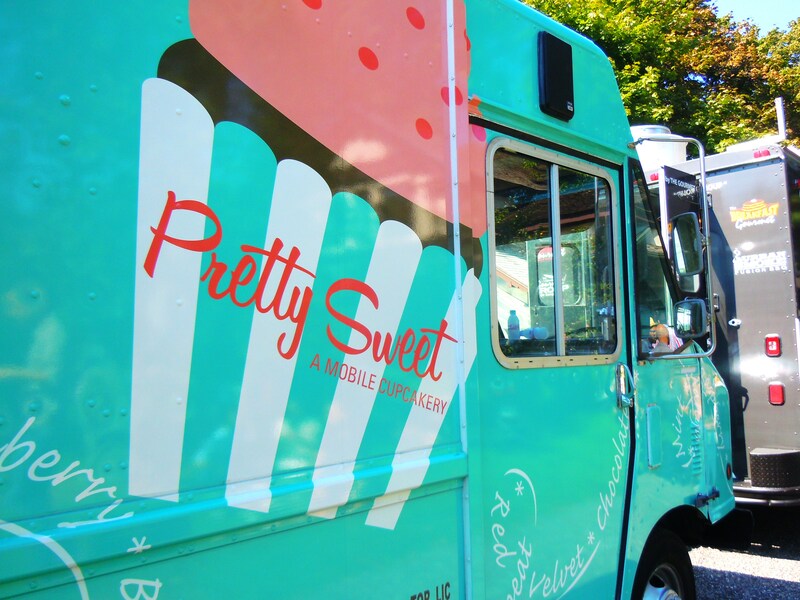 Because it’s a mobile, moving entity, the only way to really follow Pretty Sweet is via their Facebook page and Twitter where locations for the day or week are posted, flavours are listed, and events the truck will be at announced. 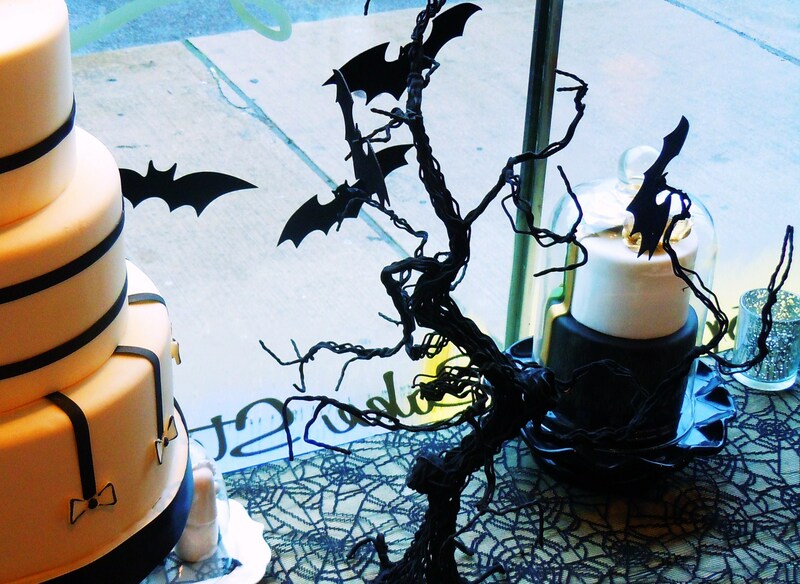 The Pretty Sweet Toronto website is still under construction, but you can still access contact info and some really beautiful photos through the original custom cake business website at Pretty Sweet Cakes HERE. 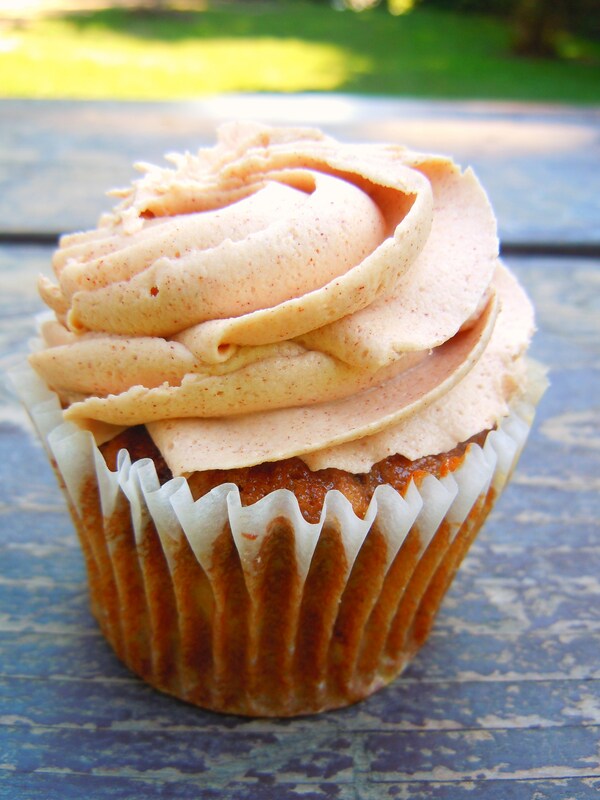 And we can’t have an apple cupcake discussion without gushing about the apple bourbon caramel cinnamon (say that 5 times fast!) 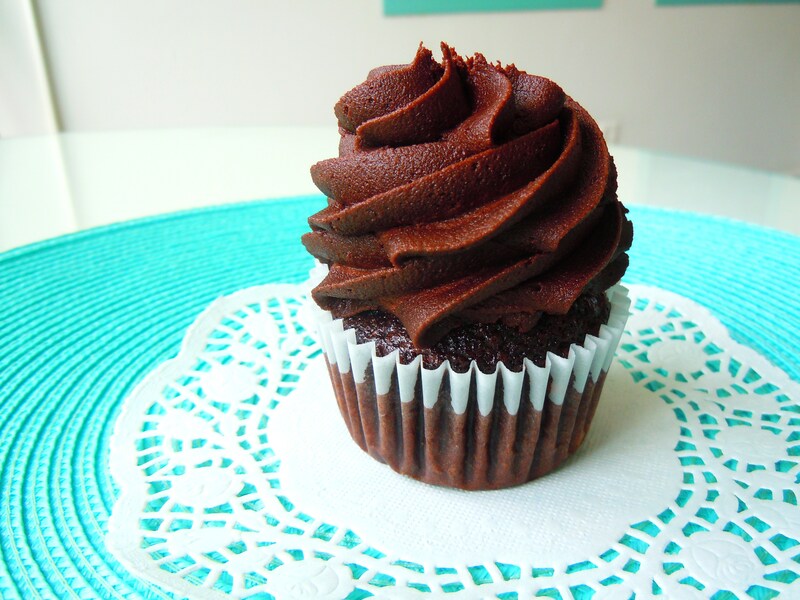 cupcake from Yummy Stuff! Both the apple caramel from Pretty Sweet and the apple bourbon caramel cinnamon are SO delicious and unique in their own ways. 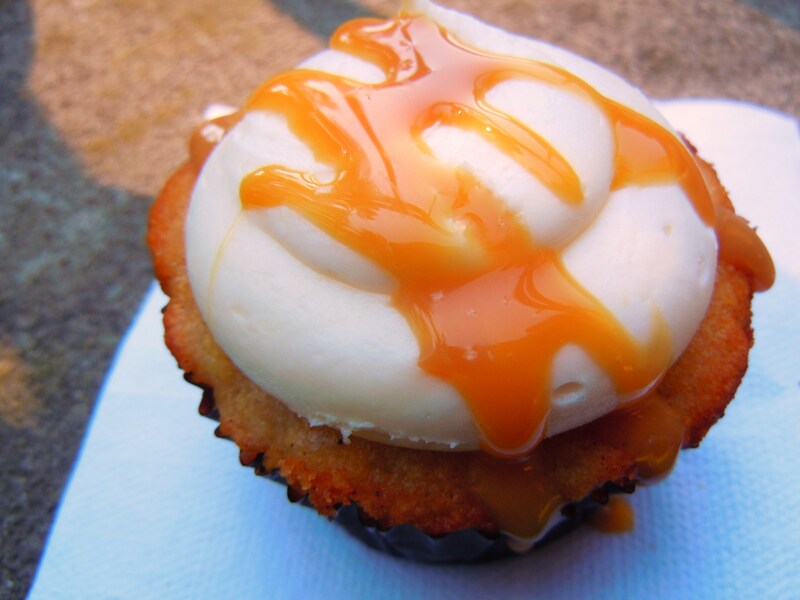 The apple caramel from Pretty Sweet had much more of a sweet and sticky toffee pudding taste and feel to it with soft apple spice cake, creamy cream cheese frosting, and generous portion of caramel sauce on top. This is the type of cupcake that doubles as a dessert in the sense that it doesn’t scream, “I’m a little cake with frosting on it!”, but rather, you can envision this as a non-cupcake dessert dish. It’s fabulous! The apple cupcake from Yummy Stuff on the other hand was more like apple pie with mouthwatering frosting on top! It was stuffed with apple chunks and a bourbon caramel sauce filling and topped with the most amazing sweet and creamy cinnamon frosting! 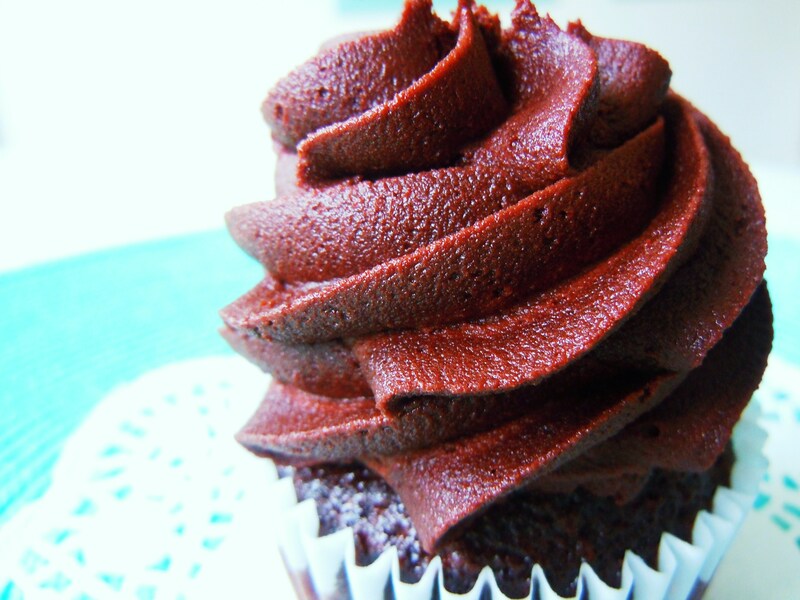 Oh man, THIS is cupcake frosting at its finest! As a note though, it’s ideal if you eat theirs with a fork just because the apple chunks may fall out and get messy if you eat it straight out of the wrapper with your hands. 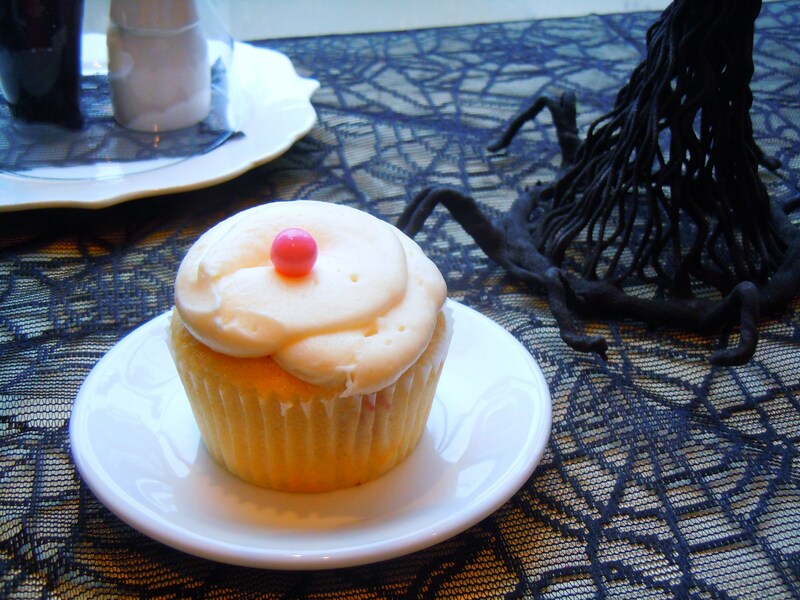 This cupcake at Yummy Stuff is the special September flavour, so definitely try your best to get your sweet teeth on one before the month is over! I really do hope it stays around for the whole season though because it’s just so good. We’ll see; they kept their S’mores cupcake for longer than a month so there’s hope! 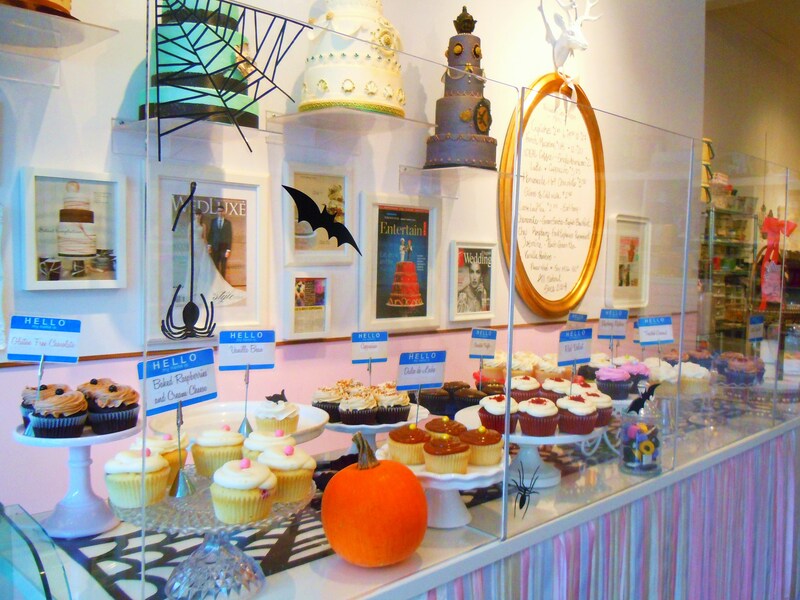 Look out for other apple cupcakes at these cupcake and sweet shops around the city! 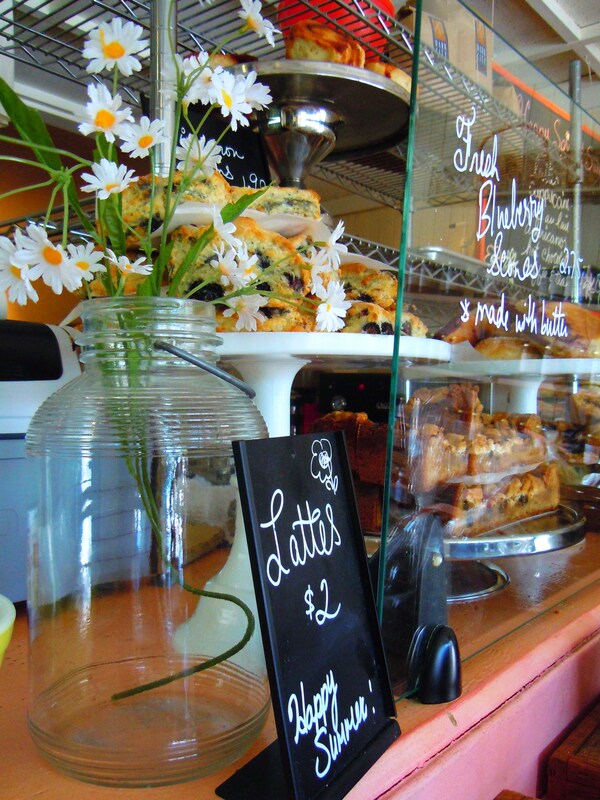 Bobbette & Belle, 1121 Queen Street East: Apple Spice ($2.95) – apple spice cake with Canadian maple buttercream frosting. Seasonal flavour, daily rotation; cal ahead to find out (416-466-8800). Crumbs & Co./Pink Lemon Bakeshop, 10220 Yonge Street in Richmond Hill (as well as 2 other locations including their newest in North York at 399 Old Orchard Grove off of Avenue Road): Apple Pie ($3.00) – apple cupcake with honey and spice frosting. Daily rotation; call ahead to find out (905-237-6406). Old Firehall Confectionery, 170 Main Street in Unionville, Markham: Apple Cinnamon ($2.89) – vanilla cupcake with apple cinnamon frosting and apple crisp and nut crumbles on top. Seasonal, currently available. Short & Sweet Cupcakes,1945 Avenue Road: Apple Cinnamon ($2.90) – apple cinnamon cupcake with caramel filling, vanilla frosting, and caramel drizzle. Available during the month of September. 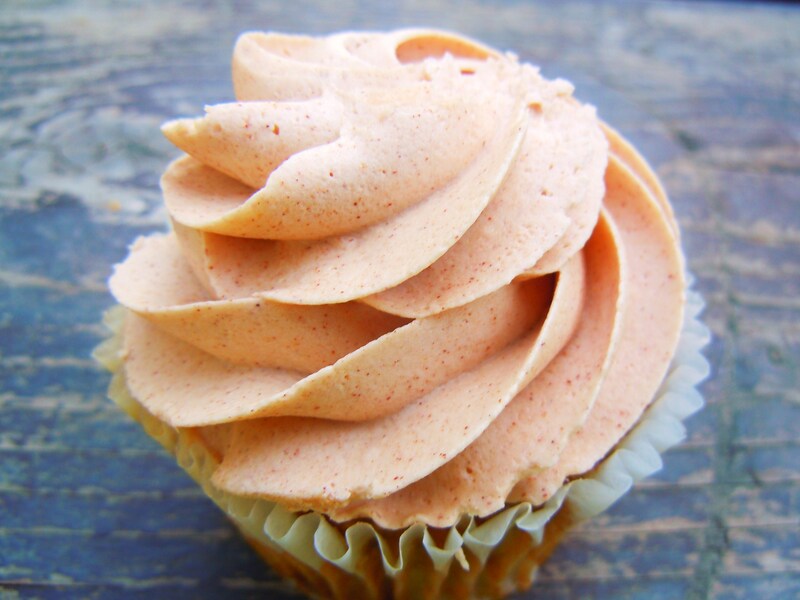 So Into Cupcakes, 2060 Ellesmere Road: Apple Cinnamon ($2.50) – cupcake stuffed with brown sugar apple filling and topped with cinnamon cream cheese frosting and cinnamon sweet apples. Available during the month of September. Feel free to leave a message here if you know of any other cupcake shops that are dishing out the luscious apples! Ice cream cupcakes, cake and pie cupcake flavours, cupcakes made to look like ice cream cones, candy sushi, and cakes made to look like sandwiches and candy bars (read Food Network magazine, you’ll totally get what I mean with those two last ones! ); it’s art imitating food imitating…more food! It is so darn cute and clever when dessert and food themes criss-cross all over the place to create culinary masterpieces and awe-inspiring works of sweet, edible art. Now, before I unleash the 2nd installment of the Cupcake Connection featuring a very summer appropriate cupcake from Yummy Stuff among other specials, news, and updates from Toronto’s cupcake scene, let’s talk sugar cookies! 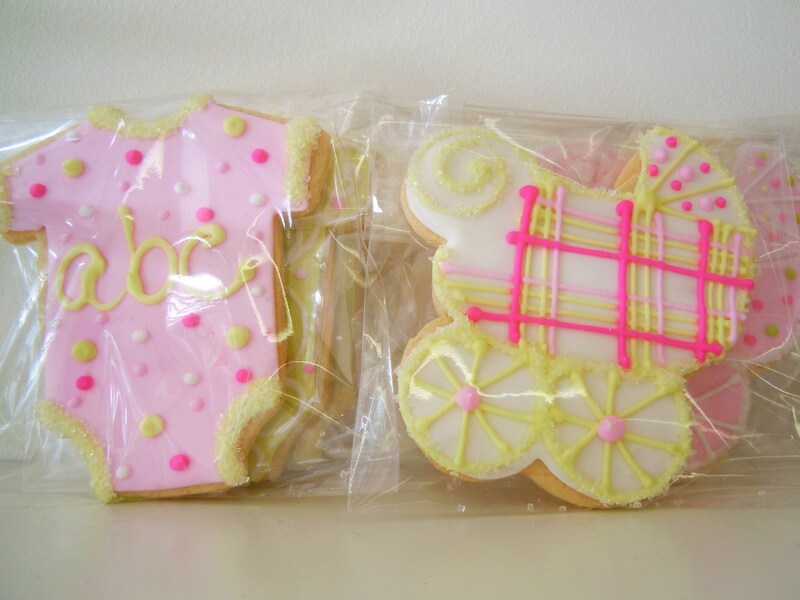 And more specifically, cute as a button decorated sugar cookies that look like food! Everyone knows I love baking cookies. However, when it comes to eating them, I am veeeery ambivalent towards certain varieties. And one of them just happens to be sugar cookies. I KNOW. How could I possibly feel that way about one of the world’s most basic, simplest cookies? They’re blank canvases that beg to be decorated, they don’t complicate things with a whole bunch of wacky, out-of-left-field flavours, and while everyone’s method might be a little different, ingredients are fairly similar across the board. What’s not to love? The answer: half the time, they’re just not executed well. Check out the adorable hamburger! My beloved Neapolitan ice cream cone cookie! 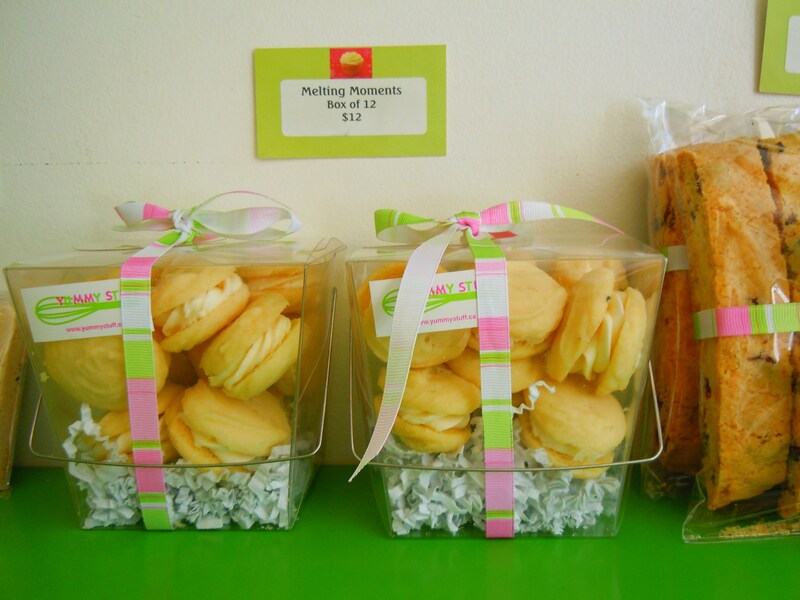 Pretty ribbon, a takeout box container, and creamy sandwich cookies? I’m sold. I love the idea of enjoying a sugar cookie but I find sugar cookies to be one of the most difficult things to enjoy because there are so many things that can be wrong with them. More often that not, they come out chalky, dry, crumbly, tasteless, and uncomfortably hard on your teeth. And while the aesthetic is often beautiful (the artwork that many cookie decorators do is truly breathtaking), the total sum of the cookie’s yum almost never lives up to its beauty on the surface which is unfortunate because it should taste as good as it looks! And this is where Yummy Stuff comes in! I promised you all in my first Yummy Stuff post back in April I would report back on their sugar cookies and I got the chance to go back to their shop on Queen West in Parkdale earlier this month to grab myself one. 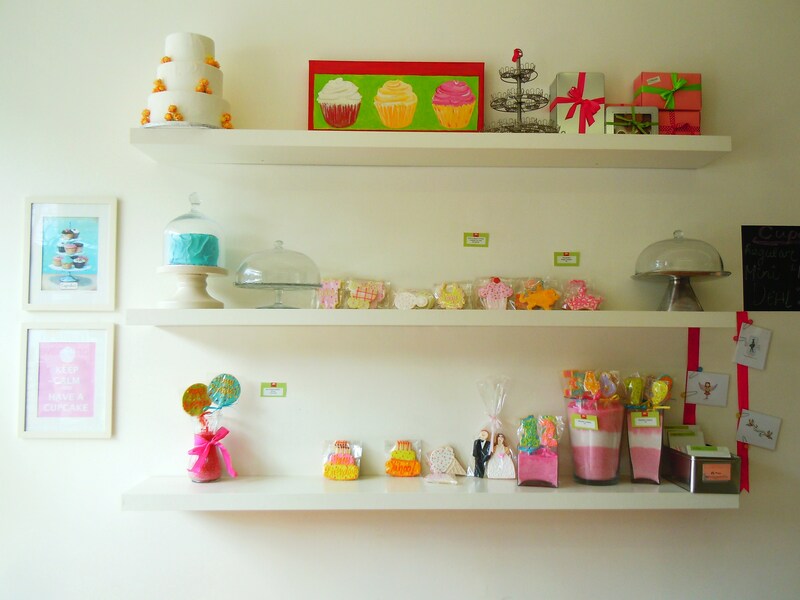 They always have an in-store selection ($3 to $4 each), as well as an option of having custom designed ones for special occasions like baby showers, wedding favours, birthdays, and more. 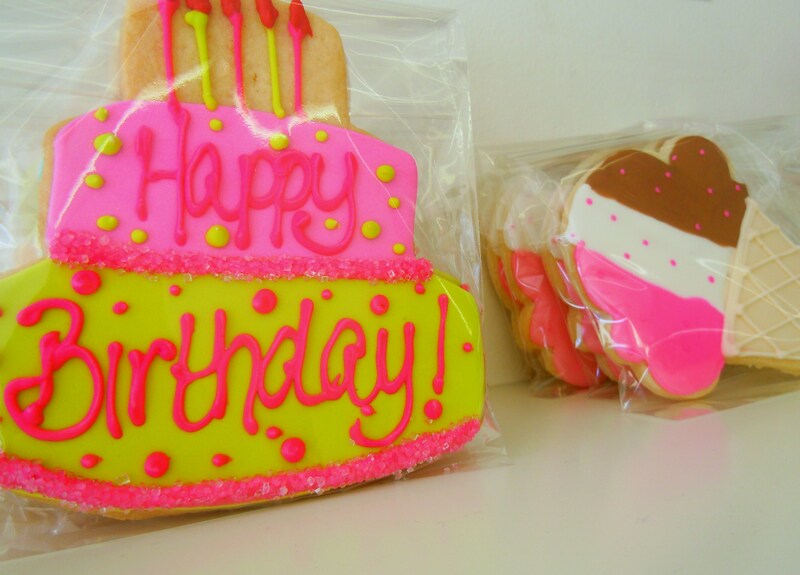 Remember how gaga I was over their cupcake and ice cream shaped and decorated cookies?! This time around, they had some different designs on hand and I was absolutely in conniptions when I saw their new Neapolitan ice cream sugar cookies! 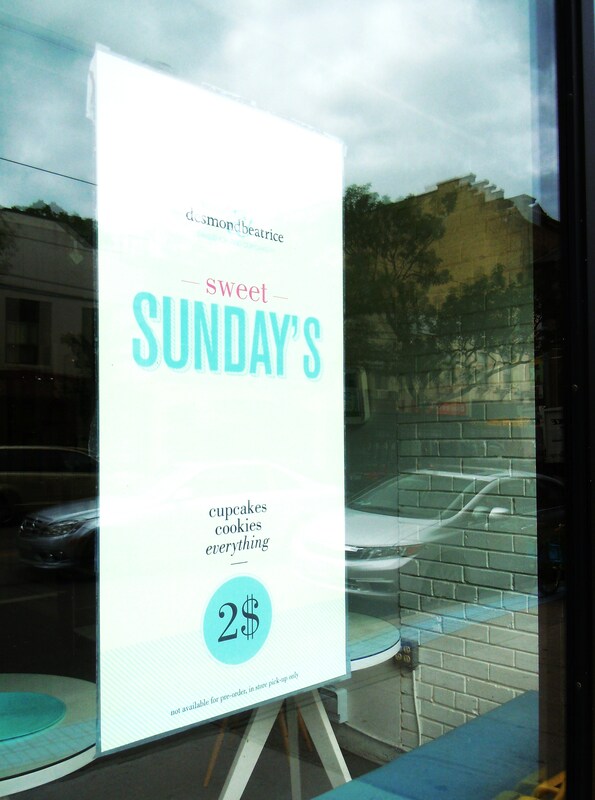 (Hint: this has a little something to do with the upcoming Cupcake Connection!). 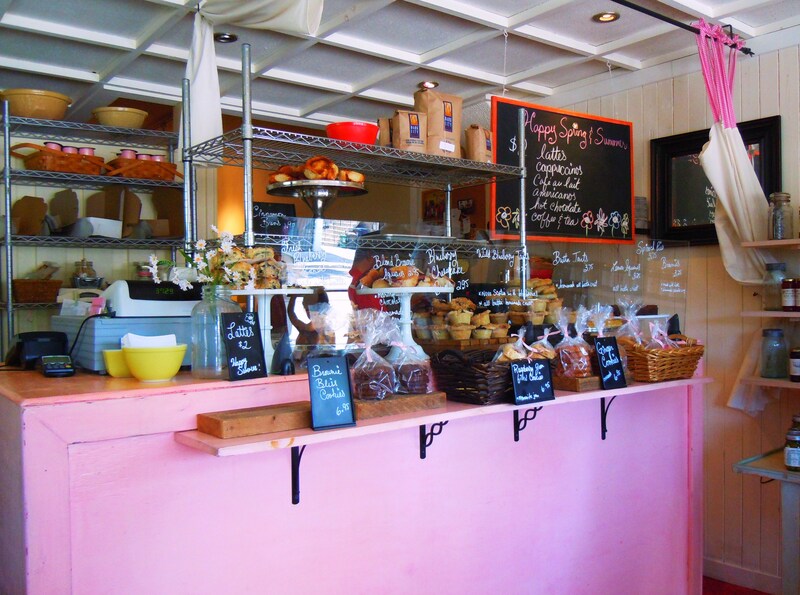 They were so, so pretty and really, who can resist anything Neapolitan? I don’t know about everyone else, but I’ve never separated the flavours or favoured one “section” for another (don’t innocently whistle and pretend like you don’t know what I’m talking about; we all know what I mean) and I kind of liken it to spumoni ice cream. Anyway, I eagerly snatched a Neapolitan decorated sugar cookie ($4) and vowed to save it for a moment when I could truly savour it and enjoy it’s prettiness. Even though I was still a tiny bit wary of it delivering on yumminess (they certainly had the appearance down pat, so that wasn’t a concern), I felt confident that Yummy Stuff wouldn’t let me down with their sugar cookies. And they didn’t. 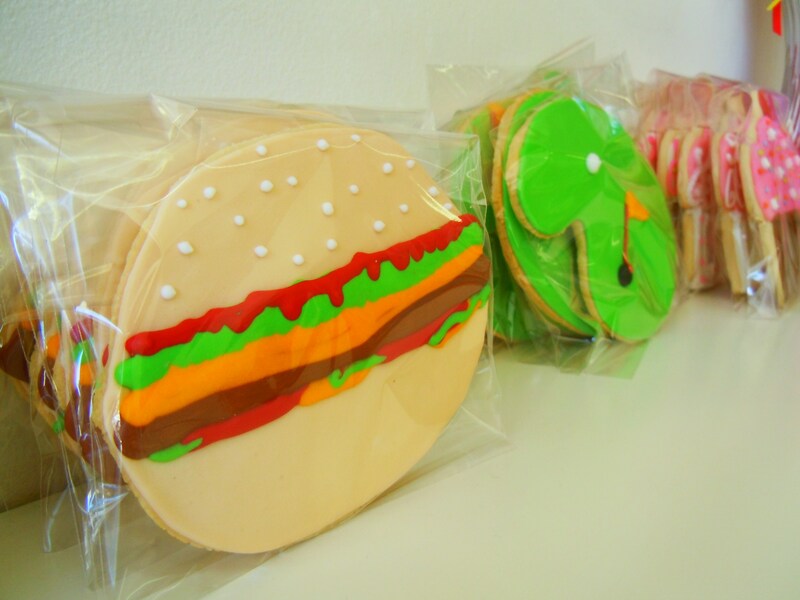 I will never eat another sugar cookie from another place ever again. Okay, so maybe that’s a little bit of an exaggeration, but OH.MY.GOD. This sugar cookie was the BEST sugar cookie I have EVER had. It was everything a sugar cookie should be and the exact opposite of all the negative traits I listed earlier. Their sugar cookies weren’t difficult to bite into (I actually broke mine into small pieces to eat, but regardless, my teeth and mouth didn’t hurt from trying to eat them), they melted in your mouth, the icing was delicious, and the cookie! Oh my lordy, the cookie whipped the hair-tie off my ponytail and sent me to cookie heaven. Pure vanilla excellence. Keep in mind, unless there’s a note that indicates the icing is of a particular flavour, the cookie is expected to be vanilla. 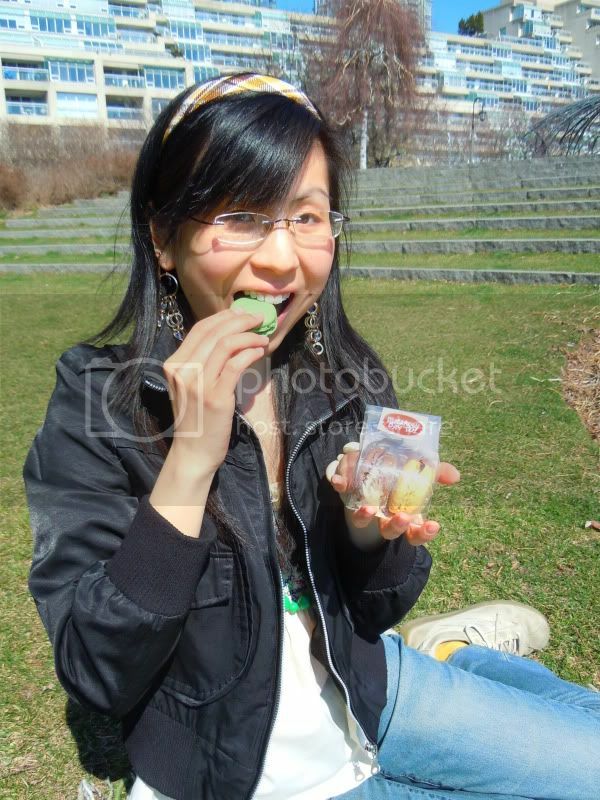 Their vanilla is top-notch and the flavour made their sugar cookie taste incredible. I was actually sad when I finished it because it was so good. Sneak peek at the upcoming Cupcake Connection, Vol. 002! It’s a shame cookies can’t keep forever because these are lovely little works of art that would look so fab sitting on a display case in all their foodie glory. Considering how delicious they are though, it’s not too bad of a trade-off at all. 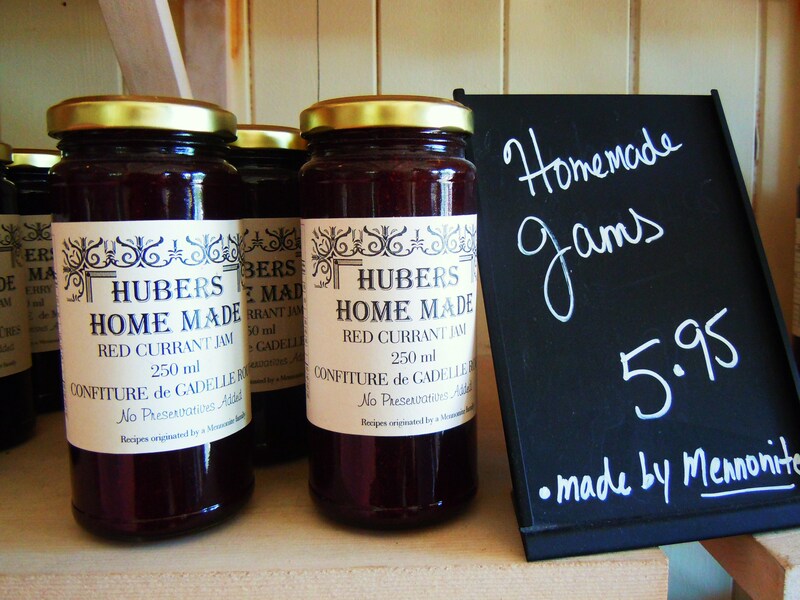 Yummy Stuff is located at 1660 Queen Street West in the west end Parkdale neighbourhood, east of Roncesvalles Ave. 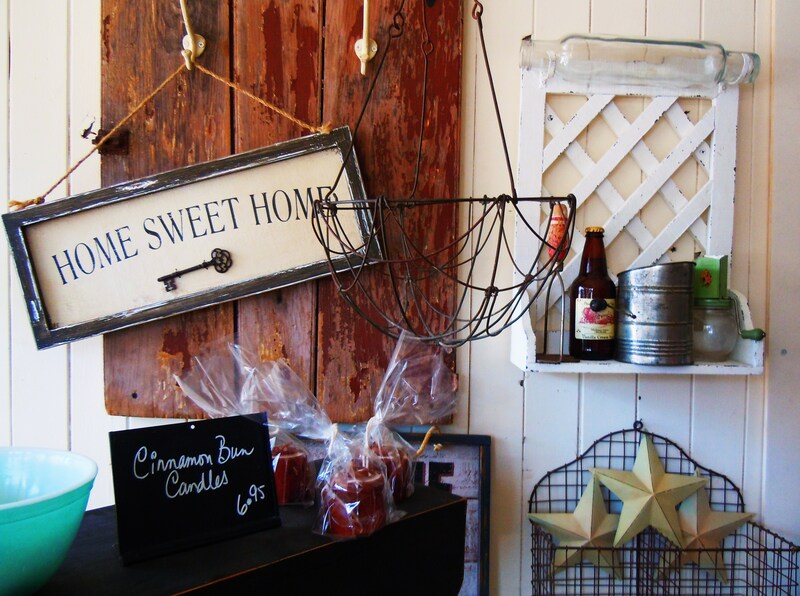 They are open Tuesday-Sunday, from 10am-7pm from Tuesday-Friday, 9am-6pm on Saturdays, and 12pm noon-5pm on Sundays. They are closed on Mondays. Visit their official website here. 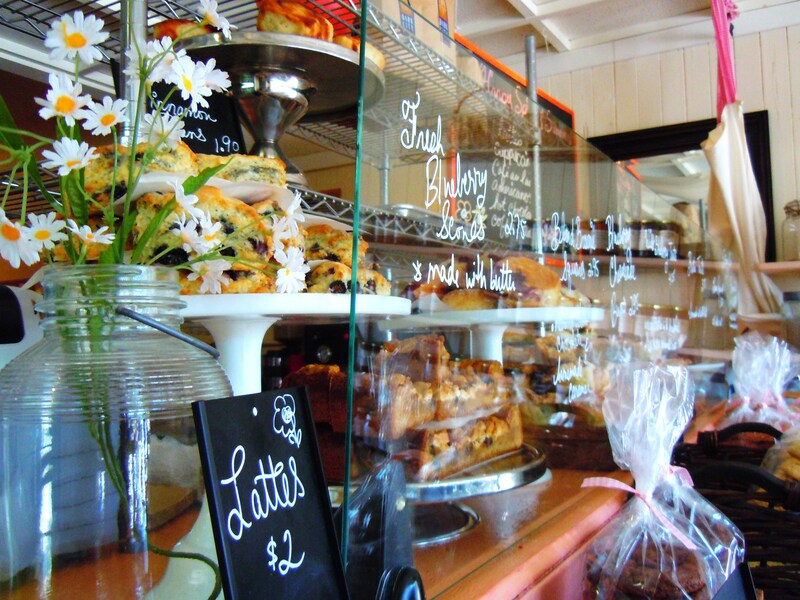 Walk into Yummy Stuff on Queen Street West in Parkdale and instantly your mood will go from gray to hurray! 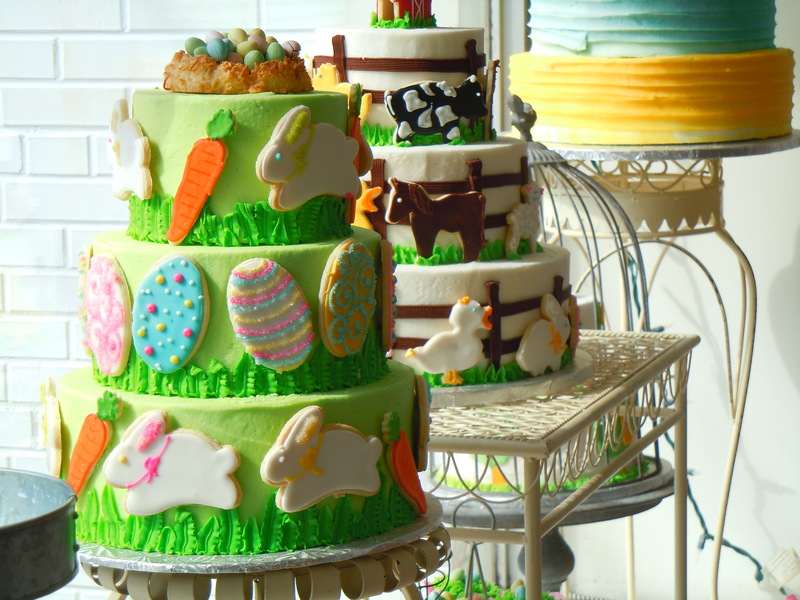 Yummy Stuff’s bakery is a wonderland of custom designed cakes, fresh cupcakes, and cute-as-a-button decorated sugar cookies for every occasion. I know most of Toronto’s cupcakeries are cute and colourful and whimsical, but never have I been inside one that was so happy and full of vibrant colour! I felt like I was in one big giant Easter basket, frollicking through sprinkles and frostings with flowers and cute animals by the wayside. I knew the second I stepped inside that this would be a bakery that I would want to come back to again and again, not just for the cupcakes and treats, but to admire the storefront displays and the beautiful pastry work that would undoubtedly change for every season and special holiday. 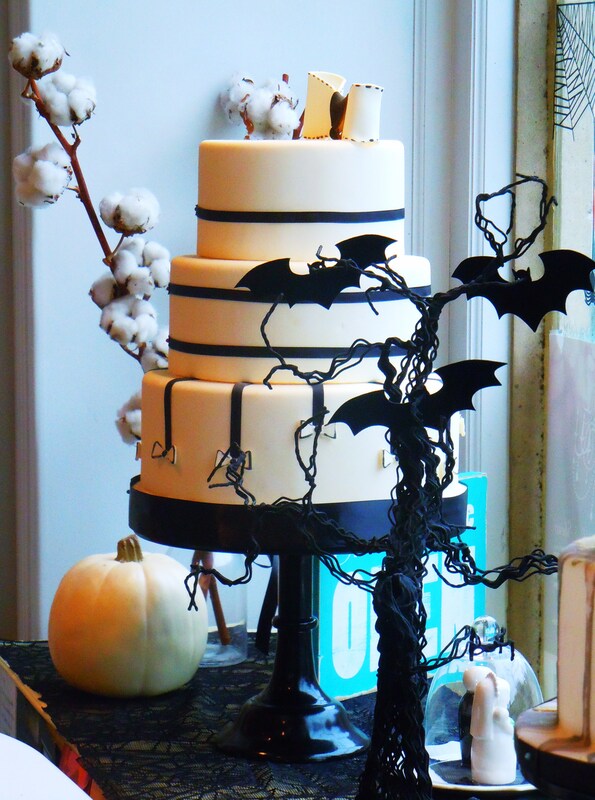 Whether or not you would ever have a reason to go out and buy a custom-designed cake is irrelevant; gaining inspiration and learning about trends and new ideas is really beneficial to me because of the scrapbooking I do. Believe it or not, I actually jot down random notes and take photos of what others would call, “nothing” just so I have something to jog my memory when it comes time to go back to it, like a beautiful colour combination or a mix of prints and patterns that I never considered. I normally don’t have any issues formulating scrapbook layouts and colour schemes in my head after picking out the right photos, but I have to say, I was already mentally piecing together cardstock for a soon-to-be Yummy Stuff layout because the bakery makes it that easy to be inspired and excited about colour and sweets. 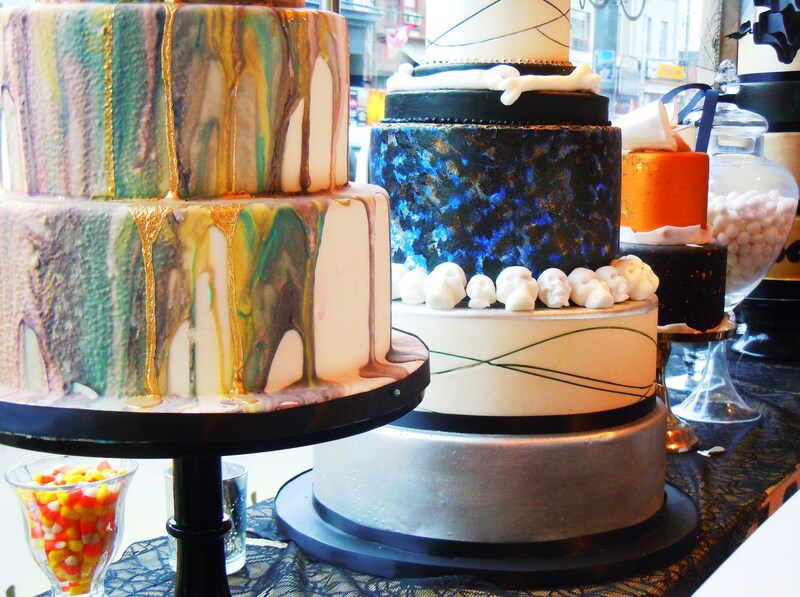 Case in point: just look at the cakes in the photo up top! I couldn’t stop looking at them because they were so pretty and unique! I never even considered attaching decorated sugar cookies onto a frosted or fondant cake but it’s genius because you have a dessert on top of a dessert that just keeps on giving! 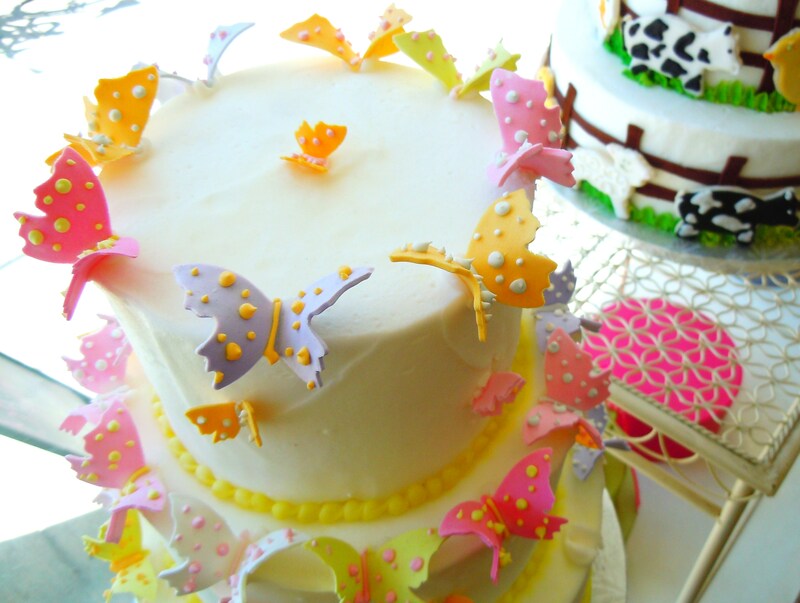 Everyone can have a sugar cookie and a slice of cake and have the best of both worlds. The idea of jazzing up a cake with extras without taking away from it and making the cake and extras work together as one fluid concept is something I’ve definitely noticed in many cake shops over the last year or two. 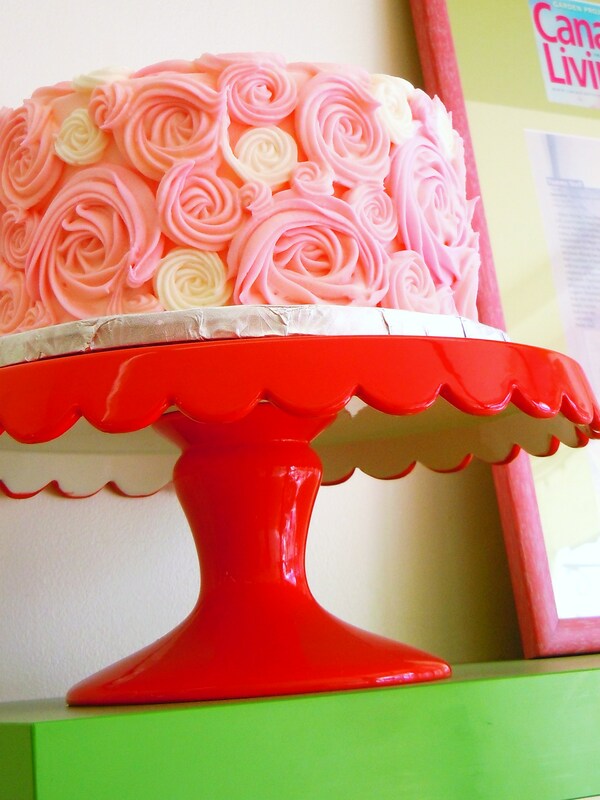 I’ve seen a number of cakes accessorized with macarons (how luxurious! ), but this was the first time I had ever since a cake decorated with themed sugar cookies and I absolutely loved the concept. 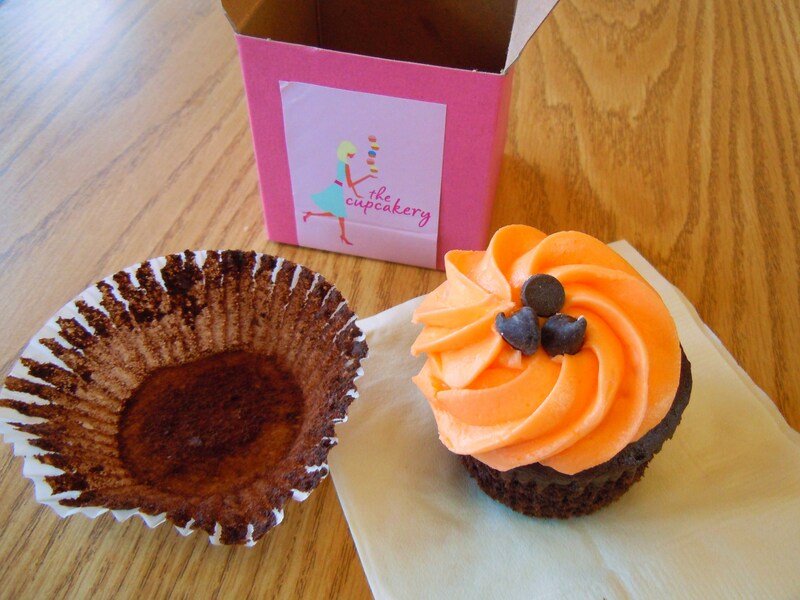 Thanks to my friend and fellow cupcake diehard, Alex, I found out about Yummy Stuff through her blog and tucked away the sweet little nugget of information until I was ready to go (really though, when am I not ready for cupcakes?) and planned my visit around a special lunch date with some friends in the west end. After this first visit, I was completely and utterly in love. 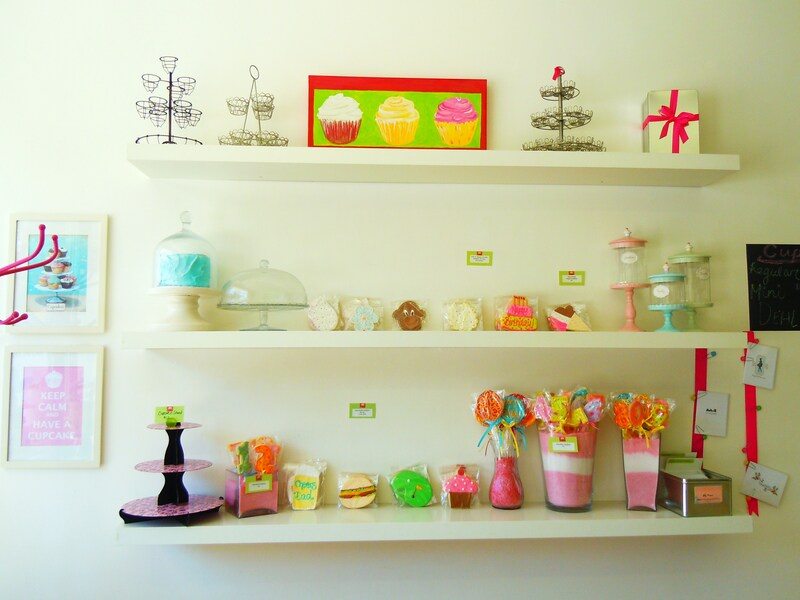 In love with the happy atmosphere, in love with the artistry, and of course, in love with the cupcakes! And sugar cookies! I have cupcake specifics and many more photos to share with you all, so bask in the sweet glow of gorgeous, mouthwatering desserts while I reminisce over my lemon cupcake and Boston Cream pie cupcake (OH YES) and we’ll hop to it with Part II tomorrow! Have you ever felt like you needed to reignite a spark to renew your interest in something you’ve always loved? A feeling that you needed something to make you see things with fresh eyes? If you’ve ever been heavily invested in a project, a hobby, or just a passion in general, I’m sure you’ve come across that feeling. This is how I felt about cupcakes as I trudged my way through the first two and a half weeks of December. The cupcake fire didn’t dissipate; it just required a little attention, a little shift in focus. A little more kindling so to speak. 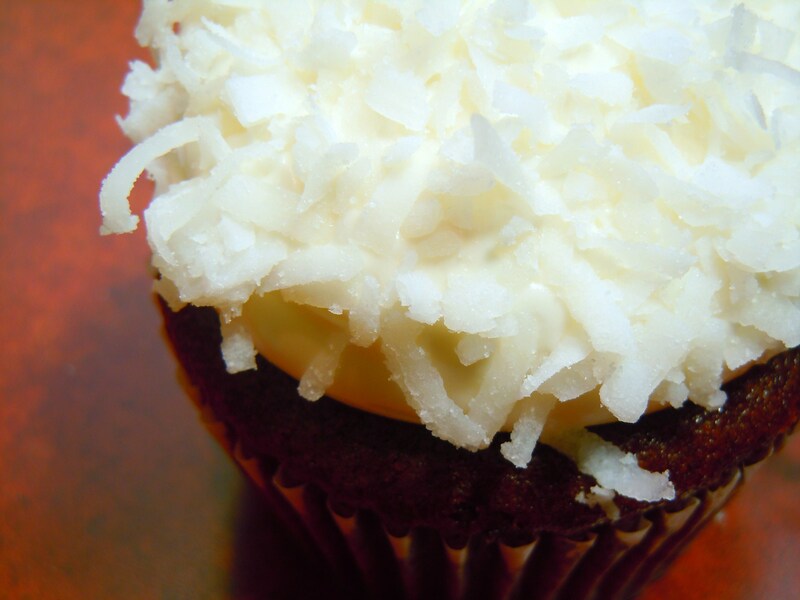 Many of my holiday plans fell by the wayside and a number of these plans had involved fun cupcake adventures. I had built everything up in my head so much that I ended up heartbroken when things didn’t work out. Call it over zealous, call it over ambitious; I had put so much on my plate that nothing had come out of it at all. It had gotten to the point where I had lost sight of what I wanted to get out of my cupcake exploration. I had lost direction. And for a little while, it wasn’t as fun anymore. Fast forward to the new year. I needed to forget about the disappointments over the holidays and breathe new life into something I loved so dearly. And I did. I can’t even begin to describe the overwhelming happiness and giddiness I felt after I threw some of that new firewood into the flame. 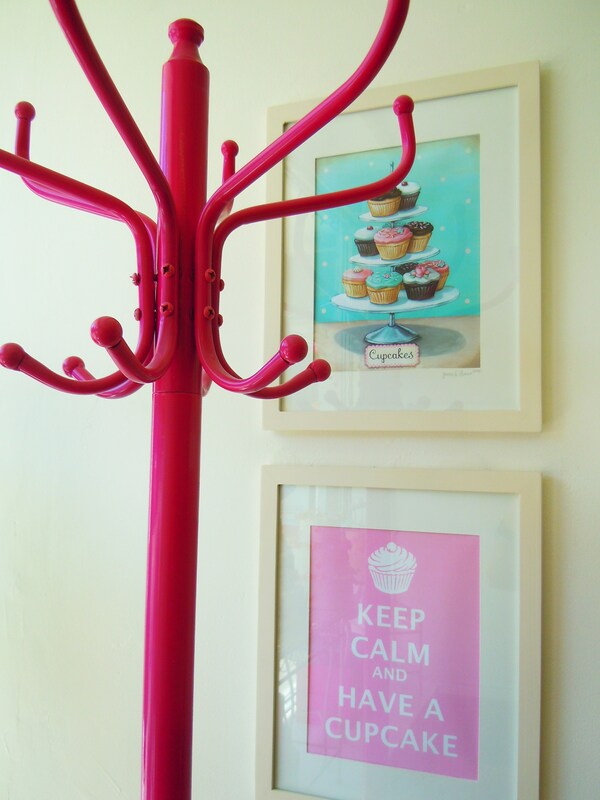 Enter The Cupcakery. 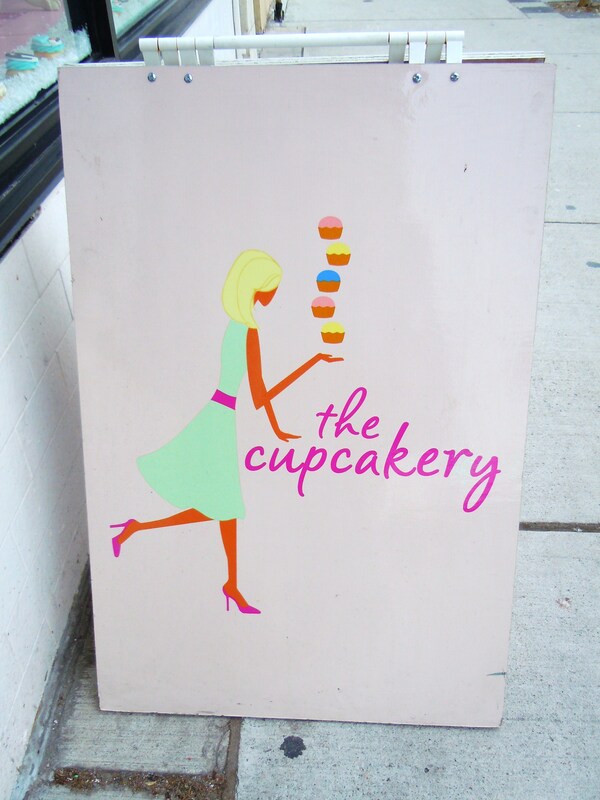 Located on St. Clair Ave. West just east of Dufferin St. on the corner of Glenholme Ave., The Cupcakery is a shop I’ve wanted to visit for ages! 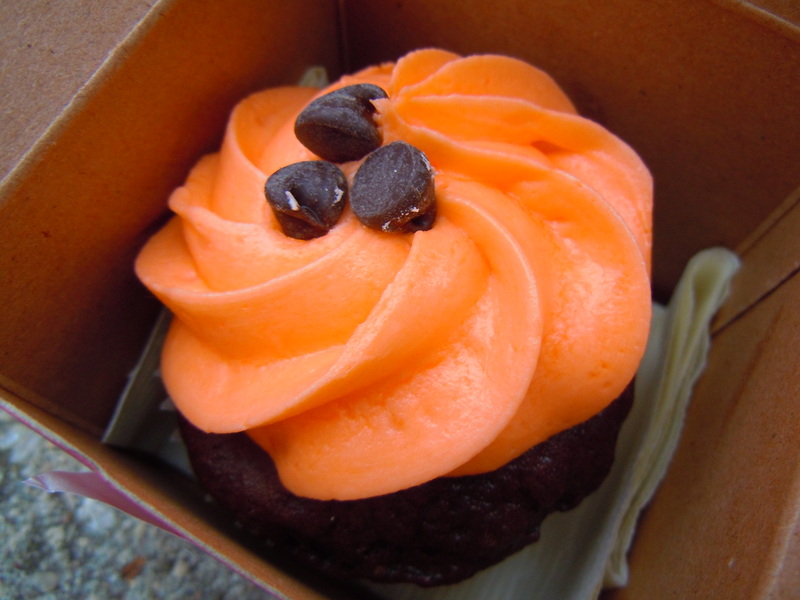 I thank my cupcake friend Alex at Vivid Memories for posting about them and thus, leading me to such a wonderfully yummy shop. 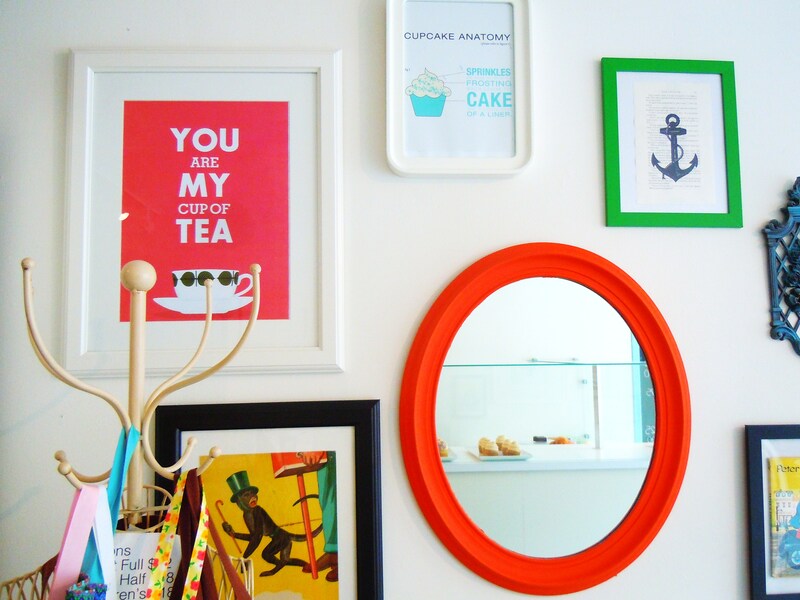 My favourite things about The Cupcakery? Price and affordability, simplicity, and presentation. Cupcakes are $2.50 each ($13 for 6 and $25 for 12) and I have to tell you, prices like those are icings on the cake. In many of my cupcake posts, I’ve ranked places into price categories (low-end, mid, and high-end) and I am so happy to place The Cupcakery in the lower rung of the price ladder. If my memory serves me right, their cupcakes are now some of the most affordable in the city and they are one of the few cupcakeries that sell cupcakes at this price point. Several establishments have raised their prices and the ones who used to sell their cupcakes for $2.50 no longer do, so this really is a breath of fresh air. Their cupcakes are colourful, bright, dainty, and perfectly frosted with lots of frosting and just enough cake to create the perfect balance. 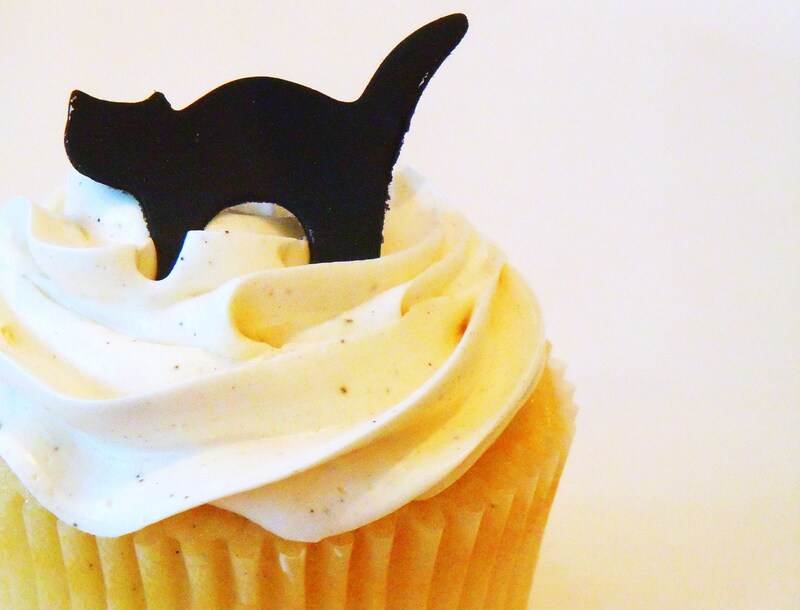 Nobody likes a cupcake with just a dab of frosting (geez, could you spare a little?) or so much of it you think you’re eating it out of the can (there’s a reason why the word “cake” is part of “cupcake”!). Even though their menu doesn’t scream wild and wacky, that’s the beauty of it. 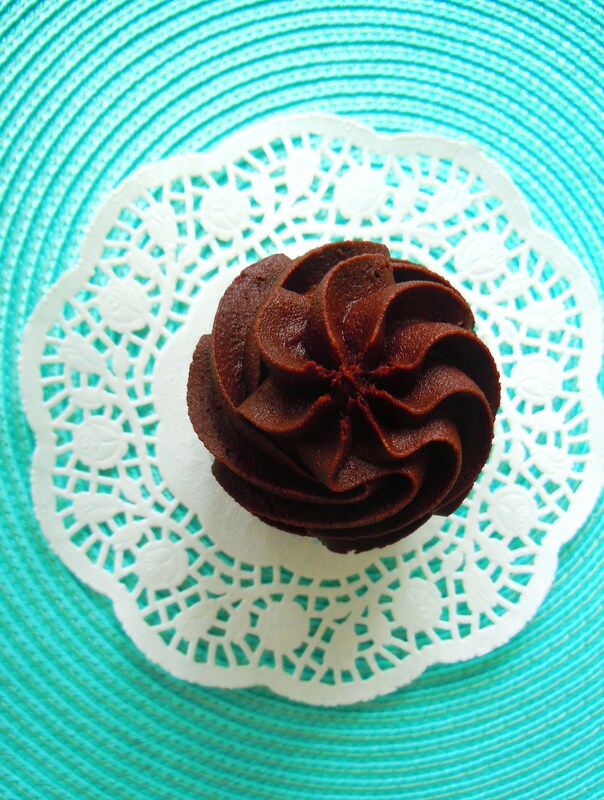 They are beautiful, simple cupcakes that truly capture the essence of the sweet treat. 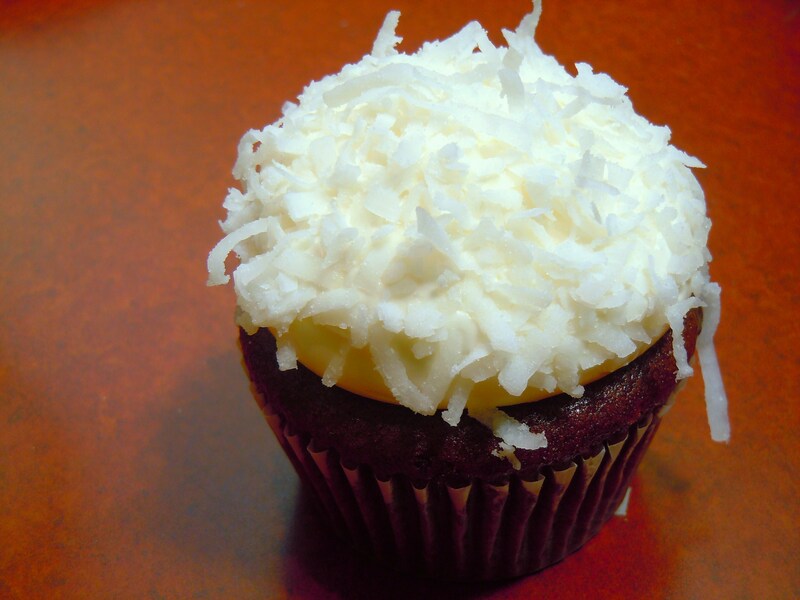 They have enough unique flavour combinations to entice the experienced cupcaker, but also enough simple classics to remain familiar to those who may not always eat cupcakes or to those who aren’t all that interested in the outlandish. They have a selection of 6 cupcakes every day on a rotating basis and there are flavours on their menu that I am dying to try: Black Forest, Lemon Popp (lemon poppy seed with lemon frosting), and Let’s Be Berry (vanilla cake filled with berries with lemon frosting), just to name a few. The 6 flavours they had on hand the day I went were: Back to Basics (chocolate cake with vanilla buttercream), Principessa (vanilla cake with pink frosting), After Eight (chocolate cake with mint frosting and chocolate chips), La Dolce Vita (chocolate cake with chocolate buttercream), Chips Ahoy (vanilla cake filled with chocolate chips with vanilla frosting and cookie chunks), and my pick, The OC! Perfect for the chocolate orange lovers out there! And of course, for the diehards of the old show. 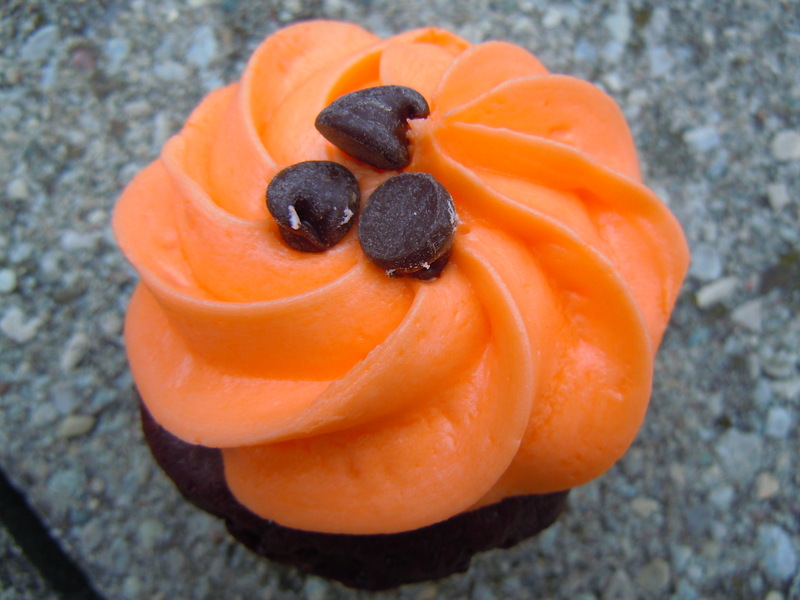 A chocolate cupcake with orange frosting and chocolate chips. 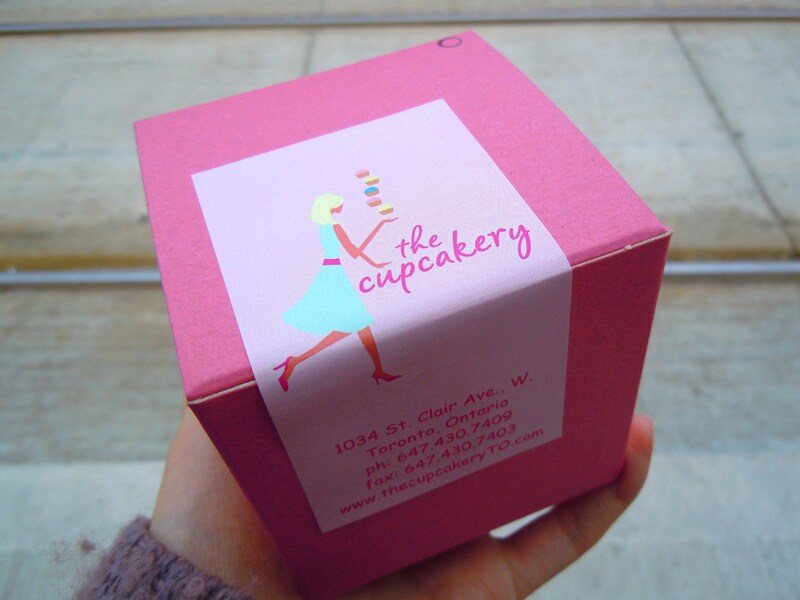 My cupcake was placed in a little pink box that was just the right size for a single cupcake. It was so cute and pretty, like a precious jewel. 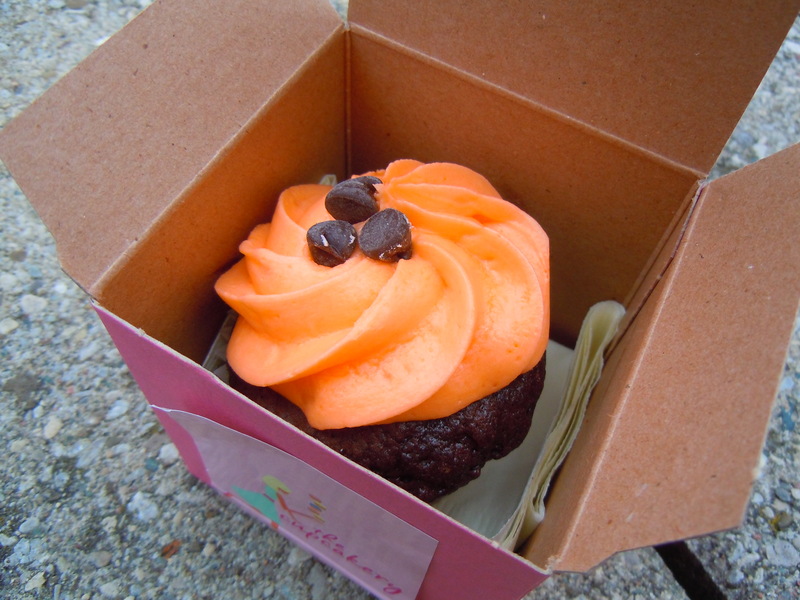 You should have seen me holding on to my little cupcake box for dear life as I rode on the streetcar and then the bus. 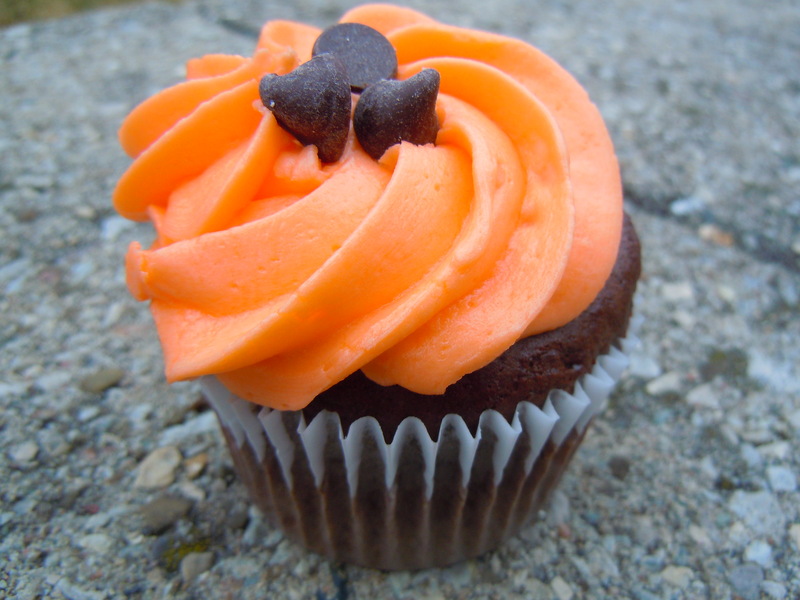 I mentally cursed every single time I lurched forward as I felt the cupcake jiggle in the box and I cursed some more when I eventually took a bite of my cupcake because it was so delicious I wished I had bought a second one, specifically the Chips Ahoy one, to accompany my chocolate orange! To my utter surprise though, I opened my little box to discover my cupcake in perfect condition! After all that jiggling, the frosting wasn’t smushed and it was in immaculate condition. 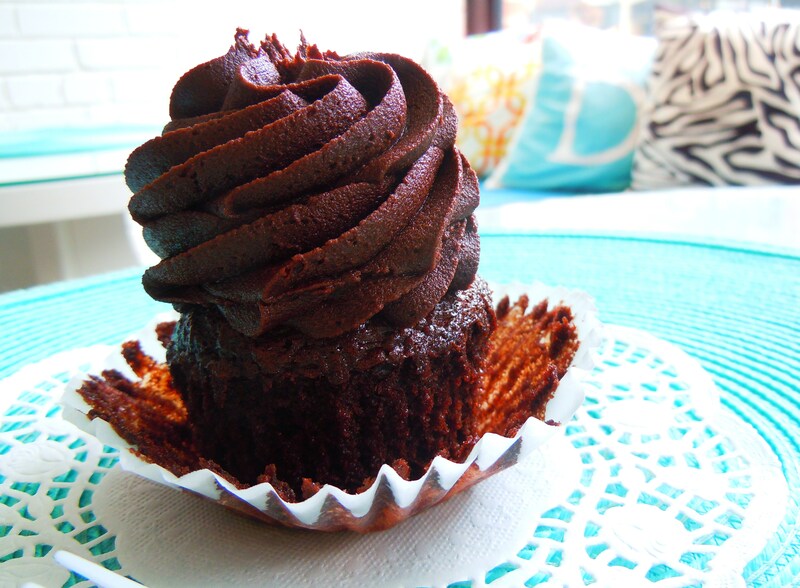 And best of all, a napkin was included underneath my cupcake. Love! It was everything I had hoped the cupcake would be. The chocolate cake was moist, soft, and fudgy and the orange frosting was PERFECT. 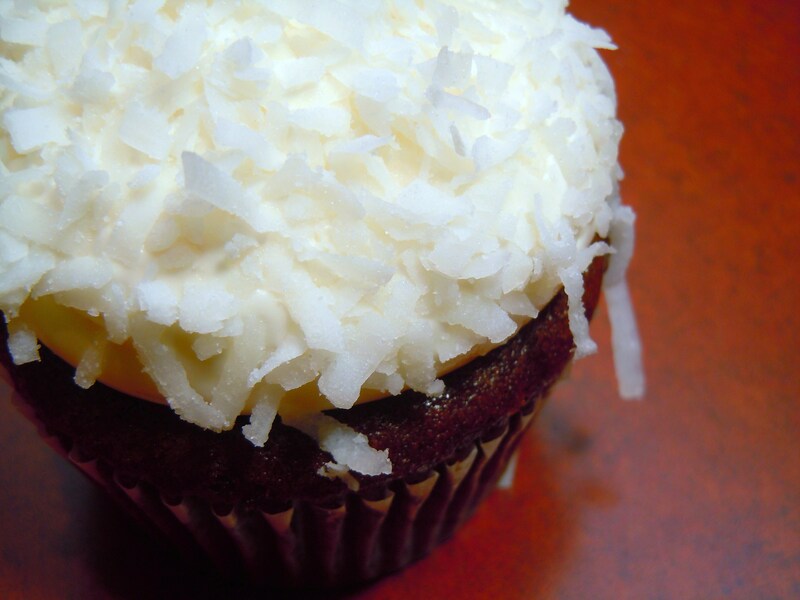 The flavour was bold without being sour and the frosting was sweet and creamy without being runny or greasy. It was a beautiful juicy orange sugar flavour, exactly like what candied orange peels and creamsicles would taste like if they were married and embodied in a frosting. This is the first look into The Cupcakery and I’m really looking forward to posting more about them and talking about some of their other products as well. 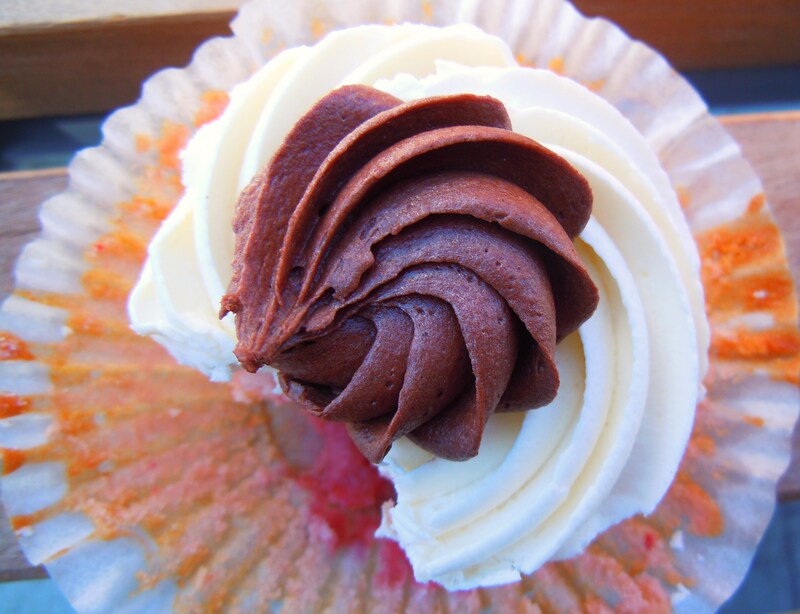 This cupcake made me so happy and I think it was a fabulous way to start off the new year, cupcake style! The cupcake fire is roaring with a vengeance and ready to take on the next adventure. 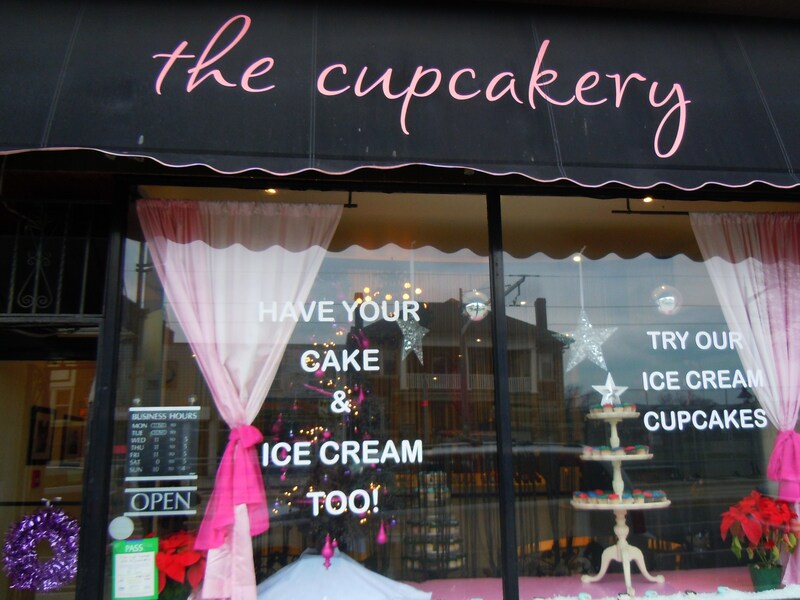 The Cupcakery is located at 1034 St. Clair West Ave., right at the corner of St. Clair and Glenholme Ave. between Oakwood Ave. and Dufferin St. 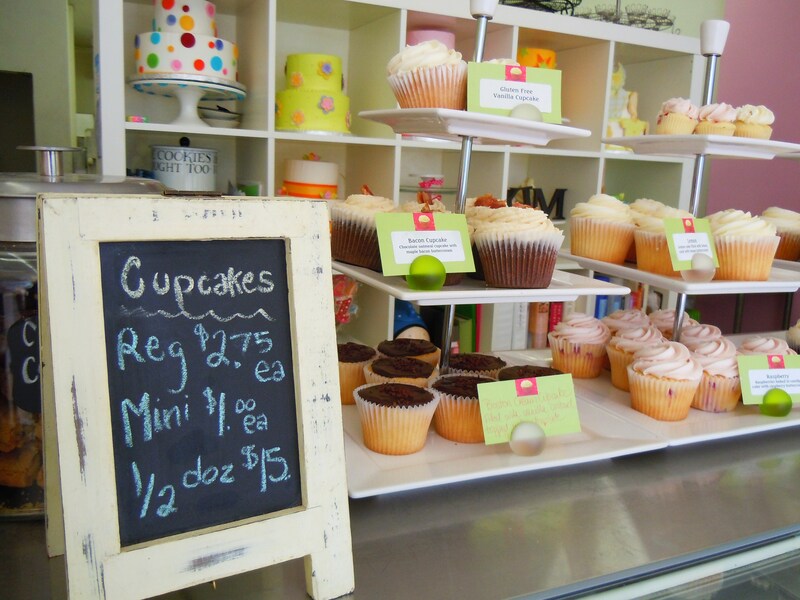 The Cupcakery is open from Wednesday-Sunday at 11am-5pm Wednesday-Friday, 10am-5pm on Saturday, and 10am-4pm on Sunday. They are closed on Mondays and Tuesdays. 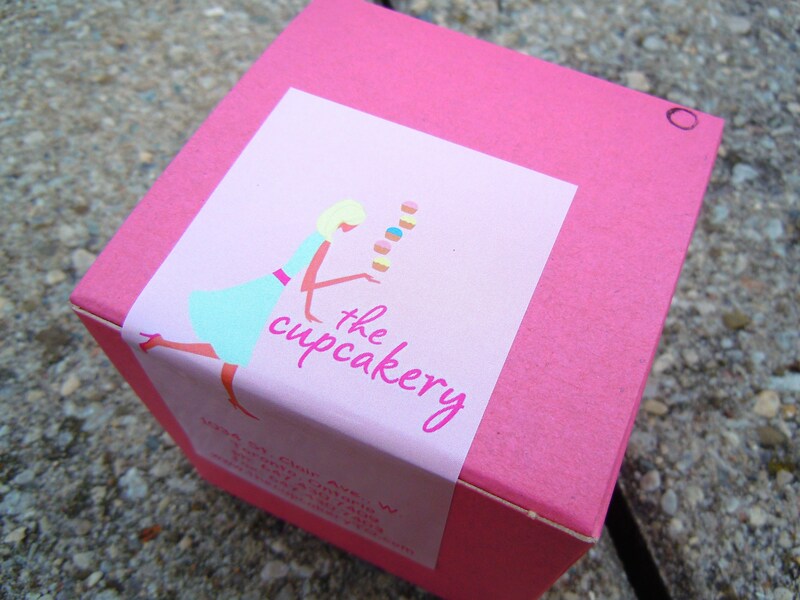 You can check out their official website here, ‘Like’ their Facebook page here, and follow them on Twitter @tcupcakery.